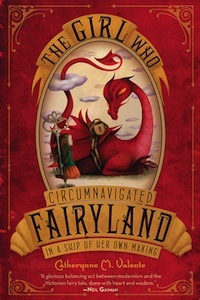 When the Green Wind shows up at September’s window and invites her to Fairyland, she sees no reason to say no. And sure enough, Fairyland is thrilling at first, especially once September makes the acquaintance of a Wyvern and a Marid. 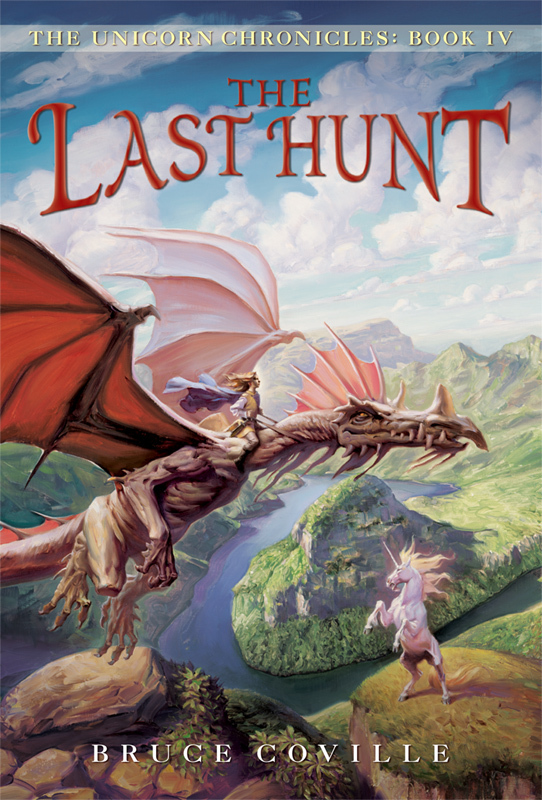 But all is not right in Fairyland, and to set it right – and rescue her friends – September must find courage she never knew she had – and possibly lose all that she holds dear. 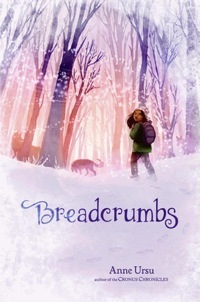 When Summer and Bird’s parents disappear in the middle of the night, the girls go looking for them, and find themselves in the strange world of Down, trapped in perpetual winter since the queen of the birds disappeared. 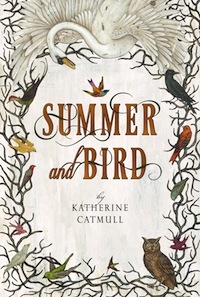 While Bird finds herself tangled in the lies of the bird-eating, power-grasping Puppeteer, Summer tries to find her lost sister, their mother, and the secret route to the birds’ great migration. But there are secrets hidden in Down and in the sisters’ past that may break the bond between them forever. 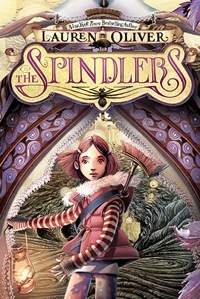 Liza and her little brother Patrick know all about the Spindlers – evil spider-creatures who live underground and steal souls. And when Patrick starts acting cold and distant, Liza knows right away that the Spindlers have gotten to him. To save her brother’s soul, she must descend to the world Below – a world of giant talking rats, fairy balls, treacherous trees, and lethal rivers – and face the Queen of the Spindlers in the heart of the Web of Souls. Imaginative daydreamer Hazel doesn’t really fit in anywhere – except with her next door neighbor Jack, who’s been her best friend since practically forever. That is, until he suddenly stops talking to her. Her mother tries to convince her that this is just something that happens, but then Jack disappears, the prisoner of the Snow Queen. Only Hazel knows enough about fairy tales to follow him into the woods – but even she’s not prepared for everything she finds there. Arthur has battled and defeated the first six trustees, but now he must face the most powerful of them all: Lord Sunday. 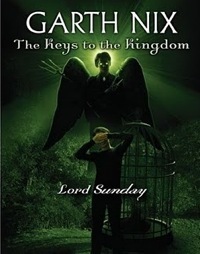 To make matters worse, the House has almost completely collapsed into nothing, his best friends Suzy and Leaf have been pressed into dangerous military service against the Piper’s army, his mother is missing, and he is now completely, irrevocably a Denizen. As he struggles to overcome Lord Sunday and free the final part of the Architect’s Will, the Will’s true meaning is about to become clear, shaking the very foundations of the House and all of existence. Since I can’t discuss my reaction to this book without talking about the end, major spoilers are unhidden behind the cut. General spoilers are unhidden after the cut. 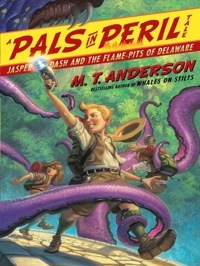 When Jasper Dash, Boy Technonaut, receives a telepathic cry for help from a dear friend at the secret monastery of Vbngoom, he and his best friends Katie and Lily journey to the mountains of Delaware to offer their assistance. 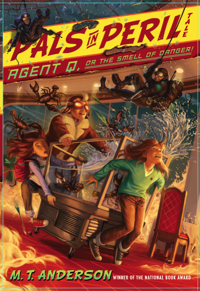 But Delaware is a strange and dangerous place, and they must make their way past dinosaurs, tourists, spies, mountain squid, riddles, and a creepy staring-contest team to reach Vbngoom – and there’s something even worse waiting for them at their destination. Apologies for the lack of posts! I have been completely swamped with moving. However, now that I can read on the subway (as opposed to the bus, which gives me a stomachache), I should be able to get a lot more Active Voicery done. Here’s hoping! In the beginning, the Architect made the House, the epicenter of the universe, and she made the Secondary Realms, in which to play out her great experiment: life. Then she went away, leaving the House in the hands of seven Trustees. But the Trustees were untrustworthy, corrupted by the power they held, and the House fell into disrepair. Now 12-year-old Arthur Penhaligon has been chosen by the Architect’s Will as the Rightful Heir. One by one he must face the Trustees, take their Keys, and restore the House to rights. But all he really wants to do is go home. In Superior Saturday, Arthur, having defeated the first five Trustees, takes on the one who has been working insidiously against him from the start. 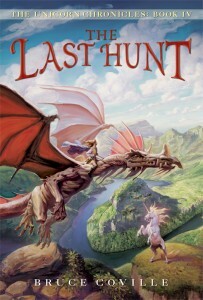 Disguised as a Piper’s child, faithful companion Suzy Turquoise Blue by his side, he must infiltrate Saturday’s realm – which is entirely populated by sorcerers – free her section of the Will, and take her Key. Meanwhile, his forces are waging war on the Piper’s army, Saturday is waging war on Sunday, the lower sections of the House are crumbling into Nothing, and Arthur is becoming less and less human.